EDIT: This restaurant sure made a complete 180. Please feel free to read my previous review but the updated review and grade are here. This is my first real food review, although I love food and love to review. So i apologize for the lack of pictures. I’ll never come to this place again, but I promise I’ll post pictures of the food I review in the future. I’ll start this with a quote from my boyfriend’s daughter: “There’s no one here named Savannah, we’re not in the south, and this isn’t a house!” Those were definitely not the only things missing at Savannah’s Southern House in Yorktown Heights. NY. Nope, there was much, MUCH more. Let’s take it from the beginning. When I first saw the sign for Savannah’s, I was so excited! I’d never tried authentic Southern Food as I’d never been to the South, but could this be something almost as good? If these people were Southerners moving up to the North, they’d made the right choice! I just knew they would get a lot of business, and a lot of repeat customers if they were good. IF they were good… That should give you the idea that they weren’t. At all. Customer Service: They were all pretty nice. The hostess was the daughter of the owners, I found out soon after I’d arrived. I asked her if the owners were from the South. It turns out they are an Italian family who owns a pizza place nearby. One that I’ve never been to but I’ve heard it’s pretty good. I judged them hard, but I tried to give the benefit of the doubt. I’m sure with tons of studying, one could eventually cook Southern food the right way… right? Atmosphere: It was loud but beautiful inside. It looked like they made a real transformation of the place, it felt like I was in a large cabin, and it was homey. There was a fireplace nearby, and it obviously wasn’t on as it was the middle of the summer, but it seemed like a nice touch. Menu: Most of the food on the menu seemed pretty southern-y. You can find the menu here. $$$: Way too expensive. I’ll get to this later but a plate of Macaroni and Cheese with four pieces of Fried Shrimp was nearly $20. Luckily, I ate hardly any of it and got my money back. AND FINALLY FOOD: We received a complimentary basket of biscuits (MY FAVE) and corn bread with butter on the side. The biscuits were hard and dry and tasted like flour and the corn bread was surprisingly okay. I did like them. For our appetizer, we ordered “Crab Cakes” which are described as Lump Crab with Remoulade Dipping Sauce and are WAY too expensive ($11.95). The presentation was so-so, just the two crab cakes with a small dipping container on the side. It tasted absolutely disgusting. It was WAY too fishy and looked like tuna salad in crab cake form! It sure didn’t taste like anything crab cake I’ve ever had and my boyfriend’s daughter spit it out immediately. After a few bites of it, I was gagging and could not eat anymore. My boyfriend, being much less sensitive than I am, was able to eat a majority of it on his own. And there was far too much lemon. I was not impressed but was definitely hoping they would make up for it with the rest of their food. Now onto the meals. I’m rolling my eyes at the thought of expressing this much disappointment. I ordered “Mac&Cheese” with added fried shrimp for a total of $19.95 because honestly, WHO can mess up Macaroni and Cheese, and also, isn’t that a southern staple? Well, I’ll tell you who can mess it up, this restaurant can! The macaroni was WAY overcooked and mushy and just overloaded with cheese, possibly to try and cover up the mushy macaroni. The fried shrimp was wet with grease and the breading was falling off of the shrimp, I ate two of the four I was given, and just couldn’t bring myself to eat any more. My boyfriend ordered “Fish&Chips” which is described as “Catfish battered and fried, mustard remoulade, hand cut fries.” and he also ordered the fried shrimp on the side. His fries were dry and tasteless, and his catfish and shrimp were just as wet as mine with the breading falling off those as well. His daughter ordered (from the kid’s menu) a Pulled Pork Sandwich with fries. She didn’t mind it too much but after tasting her pork and fries, I realized those too were dry and overcooked. They had a BBQ flavor and the dryness could probably be covered with the hamburger bread, but I would not have ordered it for myself. Overall, as you can tell, this entire experience was a disaster. Not one of the meals or sides were acceptable other than the cornbread, which probably wasn’t made in-house anyway! I am very disappointed after having been so excited to try Southern Food and will never come back to try their food again. Please see here for the new and updated rating (a 7/10) and review. The place has a new chef and you’ll be glad to hear it’s made quite the difference! Please don’t go here. Ever. Update: (Spoiler: It’s not the best.) 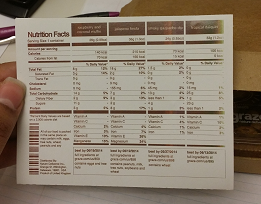 I’ve been having some trouble with graze lately… I keep getting the same snacks. I dealt with their amazing customer service again who really helped me out and told me that I could toggle my likes, loves, and dislikes again to cheat the system and get some new things, but it turns out, that doesn’t work either. This week’s box came with all repeated snacks, none of which were “loves” and one of which I got very recently… like two or three weeks ago! 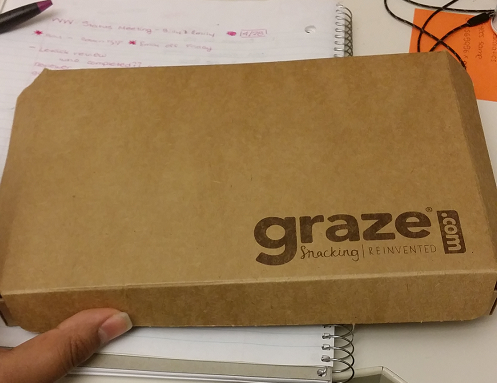 I’m not a happy camper and am considering canceling my subscription with graze. I’m very sorry to say this! But please read below for some great things about graze that might make you want to subscribe! So my graze box has been coming for a couple of weeks now. And I have so many great things to say about it. The snacks are generally savory or sweet, but sometimes a mix of the two (for those of you who are into that). A lot of the snacks consist of nuts and fruits, but there’s an area on the website where you can leave that out. “Trash” – They will stop sending you the snack. 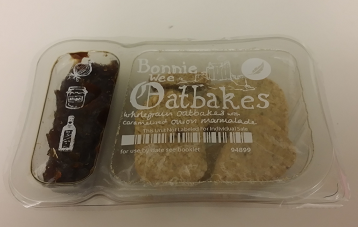 I’ve only trashed one or two of the snacks, mostly because I didn’t prefer the flavours in them, but I HIGHLY recommend trying everything as long as you aren’t allergic to any of it. I am really not a cashew fan, but their “Black Pepper Cashews” are to die for. And I hated most dried fruits before graze, and now I am a cran-raisin lover for life! What I love most about these is that you can’t get a lot of them at a regular grocery store. You get them and they have wonderful flavours, each one is different from the next. What I love even more is that I always have something to snack on at work, I don’t even have to bring anything with me aside from lunch. This box is only $6 a week, and if you use the link from the beginning of this post, you can get your first and fifth box free. Think about how much you spend on snacks a week, and think about what you get with this box. Each snack has a great health aspect to it. Sometimes they are under 100 calories, a full serving of fruit, a great source of fiber or nutrition, and more. On WEIGHT WATCHERS, I’ve found that not one of the snacks I’ve received has been over 6 points on the Points Plus program. My favorites so far are the black pepper cashews, the black pepper popcorn, and the chili-honey almonds. I like spicy stuff, but if you don’t, you can just make sure to “Trash” those ideas. Everything in the box is recycle-friendly, as well as the delivery box itself. If someone signs up using your link, you get a dollar that you can either use towards your next purchase, or donate it to the graze school of farming. This is honestly one of the best ideas ever. It’s delicious, different, healthy, and cost-effective. Let me know what you think below! Criticisms of my review, anything about graze if you’ve tried it, ask me questions if you have any, or let me know if you ordered a box! I’m excited to get some feedback on my first review on my new blog! CLICK HERE FOR MY MASTER SUBSCRIPTION BOX LIST WITH REVIEWS!